More Brilliant Bubbling from a Bald Guy... this time for the Bambinos!!!! BubbleMania Jr! is a scaled down version of BubbleMania! This version with Mr. Jim was developed to engage children ages 3-5 and their caregivers, and is aimed at an audience size that does not exceed approximately 100 total people. BubbleMania Jr! is not geared to ages 2 and under….HOWEVER toddlers are welcome at shows catering to the FAMILIES of the 3-5 year olds, such as pre-school family nights. "Professional and friendly performer. Very positive staff feedback!" "Pre-schoolers were kept fully engaged"
"Students jumped for joy! 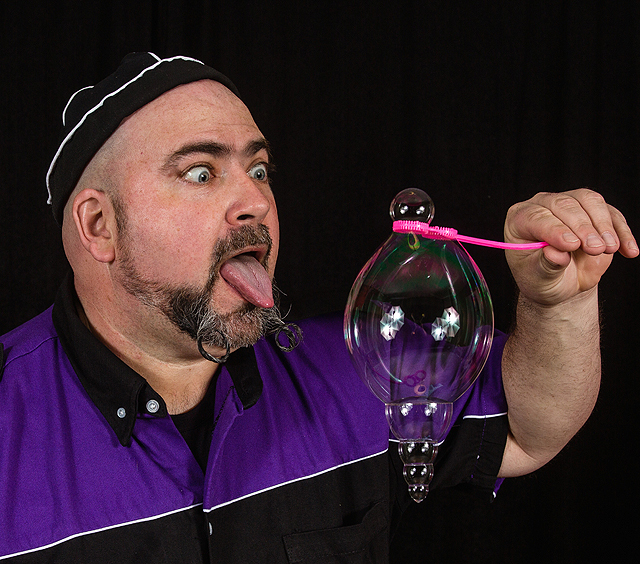 Mr. Jim is polite, funny and energetic"
BubbleMania Jr! 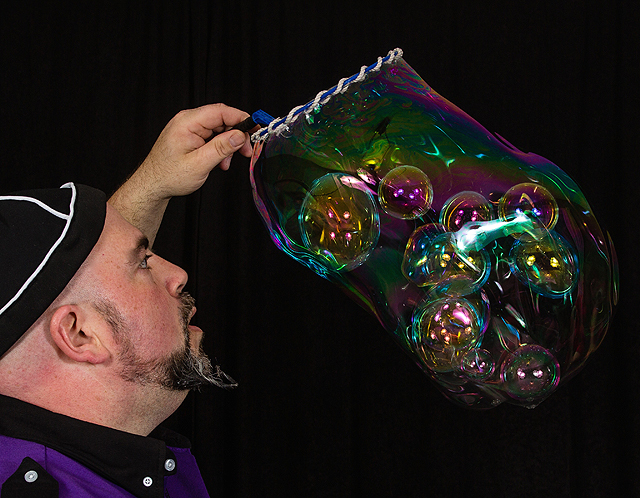 Combines many of the fascinating bubble sculptures and soap bubble tricks as the original show along with plenty of comedy and interaction geared specifically to a younger audience. BubbleMania Jr! is a 30-35 minute, focused stage show followed by a brief interactive activity. Length of show will be dependent on the average age of the audience. The show grows from a cute story about an entire bubble family, to recognizable bubble art, to funny foamy puppetry to eye-popping big bubble skills choreographed to music! (Mr. Jim can tell you more). Completely indoor performance spaces only. Any mess is self-contained on a custom-made, water-proof floor covering. Any post-show activity will not be messy. Unlike the original, BubbleMania Jr! does not include encasing an audience member inside a giant soap bubble. Please refrain from suggesting otherwise to your audience prior to his visit and everyone will be very happy when the event is completed. Like the original, BubbleMania Jr! incorporates music to enhance the bubble fun but uses tunes more engaging to very young ears. "BubbleMania! Jr! is full of laughter and fun!" 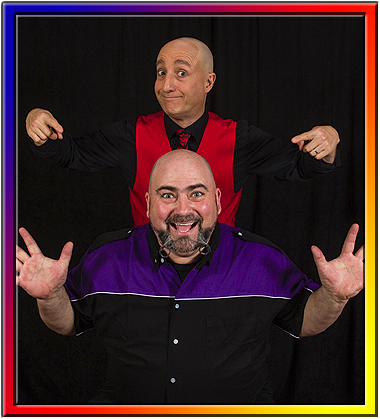 Mr. Jim Napolitano is a graduate of the Puppet Arts Program at the University of Connecticut and has toured America and the world as a professional puppeteer. 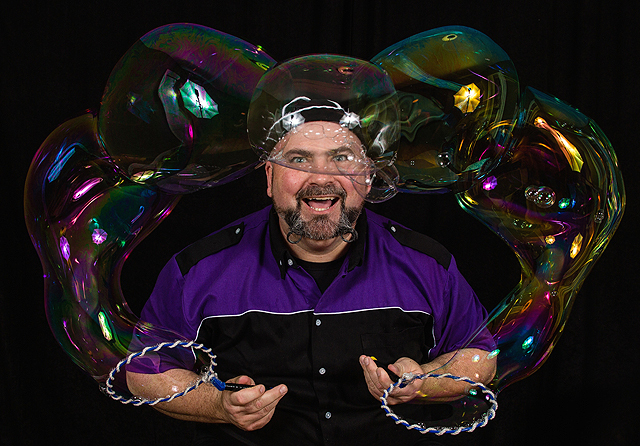 Jim brings every bit of his humor and story-telling skills to his performances of BubbleMania Jr! and will keep your audiences enthralled and roaring with laughter! Mr. Jim's experience includes Bits 'N' Pieces Puppet Theater of Tampa Bay, FL, The National Culture Center in Japan and the The National Theater in Taiwan. Jim's talents have been a part of the PBS program "Between the Lions", Disney's "The Book of Pooh", projects for HBO, Scholastic Home Video as well as a number of animation voice-over credits for The Fox Network. 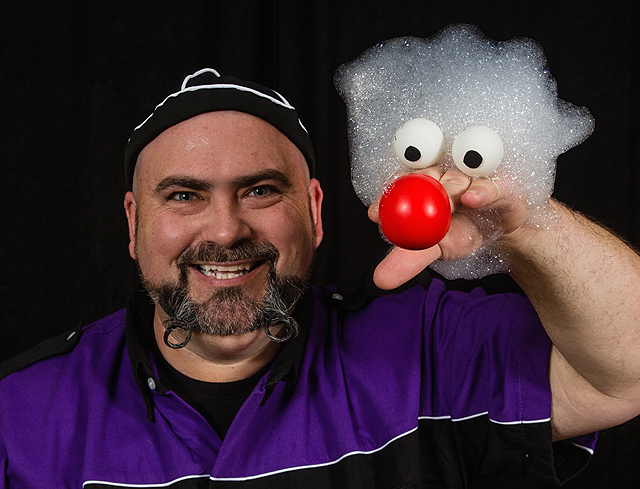 Jim has toured southern New England and beyond for over two decades with "Nappy’s Puppets" in the roles of entrepreneur, puppeteer and showman. He is pleased to be part of the BubbleMania! 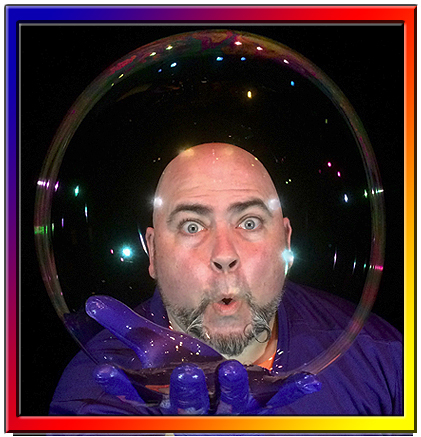 team and brings over 20 years of live family theater experience to BubbleMania Jr! in his role as "Mr. Jim The Bubble Man". Jim is the proud parent of a creative boy and a rambunctious daughter who knew their dad would be great at bubbling because he is so full of hot air. Jim has been a professional colleague of mine for over two decades, sharing a kinship for bringing fun stage shows to thousands of families. I've admired his work from the first moment I met him back in the mid-90s. I'm so smitten with his humor and story-telling skills that I hired him to be the featured act at a shindig of my own! Where he had all my friends - a big room full of fully grown adults - roaring with laughter and goofing along to some great entertainment. He's as clever as they come, with the mind of an engineer and the insights of an artist. With one of the most courteous and kind personas - on and off stage - you'll ever meet. So it's no surprise I'm nearly bursting with suds at the seams that he's part of the BubbleMania! Brother/Sisterhood! 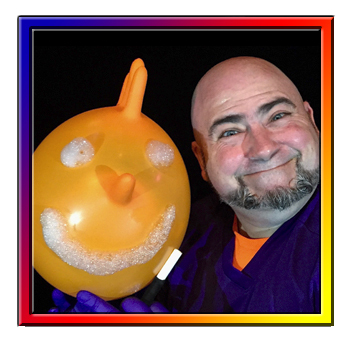 Jim presents Casey Carle's BubbleMania Jr! in Connecticut, Rhode Island & Massachusetts. Jim Napolitano may be contacted directly by telephone at 203-307-5416, or email him HERE to discuss and book your event. Currently, Jim Napolitano is available in Southern New England, NYC, Long Island, Northern NJ.